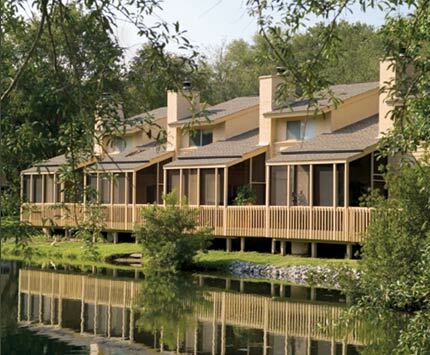 Monterey condominiums in Jacksonville, Florida. 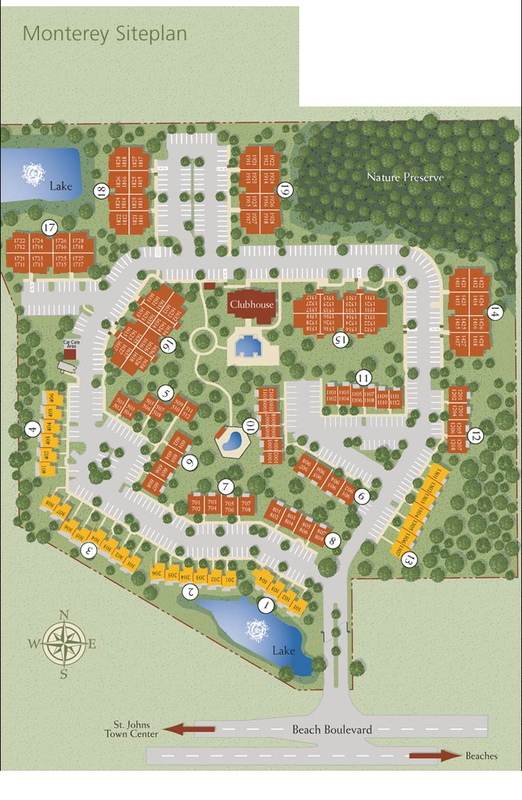 Monterey is a condominium community that reminds you of an old-fashioned "village green" with beautiful tree-shaded areas that provide the perfect setting for strolling or relaxing. View sitemap. Monterey is close to numerous employment centers of Baymeadows and Southside, premier shopping destination, and many entertainment venues and restaurants in the rapidly growing Tinseltown area. Florida Community College at Jacksonville and the University of North Florida are just minutes away. There are seven distinctly different plans from which to choose, including single-story flats, two-story lofts, and townhomes. Every phase of Monterey has been thoughtfully planned to accommodate a variety of needs, from increased space for growing families, to private spaces for hobbies, or home offices. Residences range from 600 square feet to 1,450 square feet of air-conditioned space, with many plans offering additional living space on balconies or patios. Pricing from the low $100's. Residents enjoy quiet, natural setting, gated entry, clubhouse with kitchen and social room, two swimming pools with sun tanning decks, business center, billiard room, theatre room engineered with full measure of acoustic treatment with 110" HDTV and high-definition projector with surround sound, fitness center, ample parking, two community lakes with fountains, nature preserve, and car care center. For availability and a tour, call (904) 307-8998 to schedule an appointment.